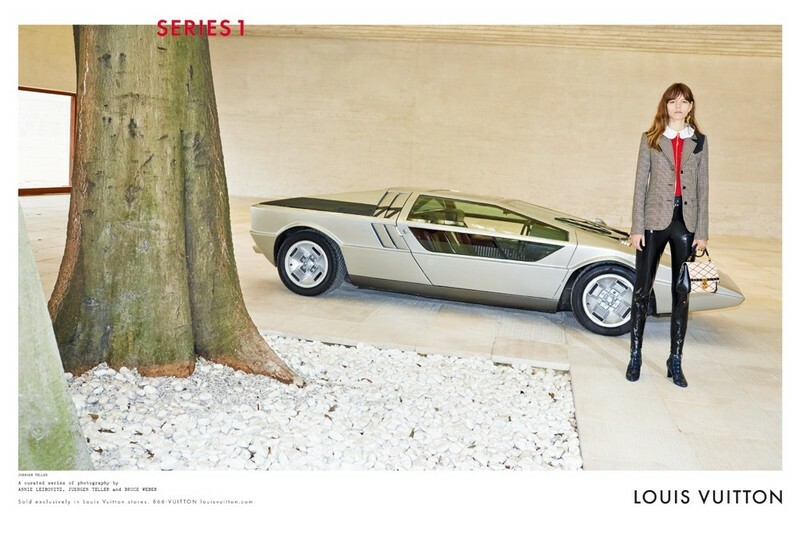 While I am somewhat ambivalent about the other images in Louis Vuitton's first campaign under the creative direction of Nicolas Ghesquière, Juergen Teller's photos capturing Freja Beja Ericsson and the ultra rare (as in, there is only one) 1972 Maserati Boomerang really capture the aura of luxury, edge, and exclusivity that Ghesquière has in a very short time restored to the storied French house. The clean concrete setting surrounding a singular aged tree provides a stark contrast between old and new, perfectly mirroring Ghesquière's brilliant re-imagining of some of the most iconic pieces in French fashion history, from the classic Speedy to the LV travel trunk, now handheld and known as the Petite Malle. Though the campaign as a whole lacked cohesion, "Series 1" is a promising start to what is rapidly shaping up to be fashion's strongest pairing.